J.K. Rowling’s The Casual Vacancy reviewed: What are all the critics saying? 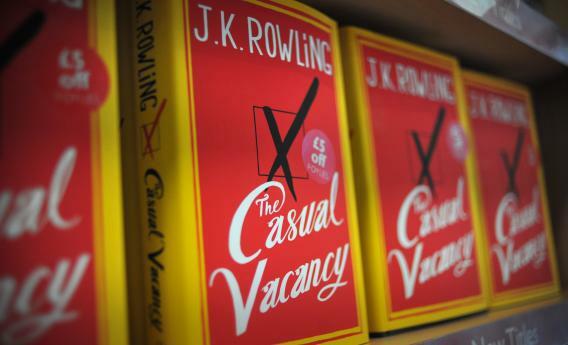 J.K. Rowling’s new novel aimed at adult readers, The Casual Vacancy, arrives today. We already learned from the New Yorker that the novel is, in fact, pretty adult, but is it any good? We’ve scanned the reviews to get a sense of the early word. The bottom line: If you want to hold onto your high hopes for a little longer, maybe just stop reading now. Sorry. So, not very uplifting. But does that mean the book is bad? So what should we make of this mixed bag of criticism? I’ll probably read the book, even if I should be reading the new Zadie Smith instead. And I still expect to find glimmers of the old Rowling: her wit, lightness, and eye for human folly. But where Harry Potter crammed the small-minded, banal doings of Uncle Vernon and Aunt Petunia next to mythic Manichean struggles, it sounds like The Casual Vacancy is pure, unadulterated Muggle. Which may just be Rowling’s way of informing everyone that it’s time to grow up. Ding dong, and farewell: The witches (and wizards) are dead. Will J.K. Rowling’s Novel for Adults Be Any Good?